Explore the best of the East Coast in 21 days! Escape to the beautiful East Coast of Australia for 21 days of epic adventures. Let your hair down as you enjoy a fantastic tour! Take in the bohemian vibes of Byron Bay, swim beneath the surface of the aquamarine ocean as you discover the vibrant and colourful Great Barrier Reef, wander around the iconic Fraser Island and set sail around the Whitsundays to admire breathtaking views of paradise. Pack your bags, jump on a flight and say G’day to Australia! Learn to surf in Surfers Paradise, and take in stunning views of the coastline! See the famous Australia Zoo and get up close to amazing Australian animals! Relax on the incredible beaches of Fraser Island! Meet the locals at Australia Zoo! Day 1: Hello Australia - G’day Australia! Arrive in Sydney and meet your guide and group, before heading out on a walking tour of the city. Visit iconic landmarks like the Sydney Harbour Bridge and beautiful Opera House, then leave Sydney behind as you travel further up the East Coast to Byron Bay. Days 2-3: Byron Bay - Have 2 days in the laid-back boho coastal town of Byron Bay. Soak up the incredible surfing atmosphere, as you wander around it's quirky streets. Head up to the Byron Lighthouse with your group for an epic sunrise over Australia's most easterly point, discover the town by bike and enjoy a delicious evening meal with your group. Days 4-6: Surfers Paradise - Make your way to the jewel of Queensland’s Gold Coast, famous for it's golden sanded beaches and electric nightlife. Grab a board, and learn to surf like a true Aussie with a morning surf lesson on Day 5, before hitting the town with your group in the evenings! Days 7-8: Brisbane - Leave the Gold Coast behind, as you continue the journey up to Queensland's capital, Brisbane. Uncover the incredible man-made lagoons of the exciting Southbank entertainment area, including an outdoor swimming pool for you to take a dip in! On your second day here, head with your group to the world-famous Australia Zoo. Get up close to amazing Australian animals, and learn about the impact and legacy of one of the worlds best know Australians, Steve Irwin. Day 9: Hervey Bay - Journey to the coastal town of Hervey Bay, gateway to Fraser Island. Have the day to relax by the sea, keep an eye out for whales passing, and get prepared for your adventure ahead on Fraser Island! 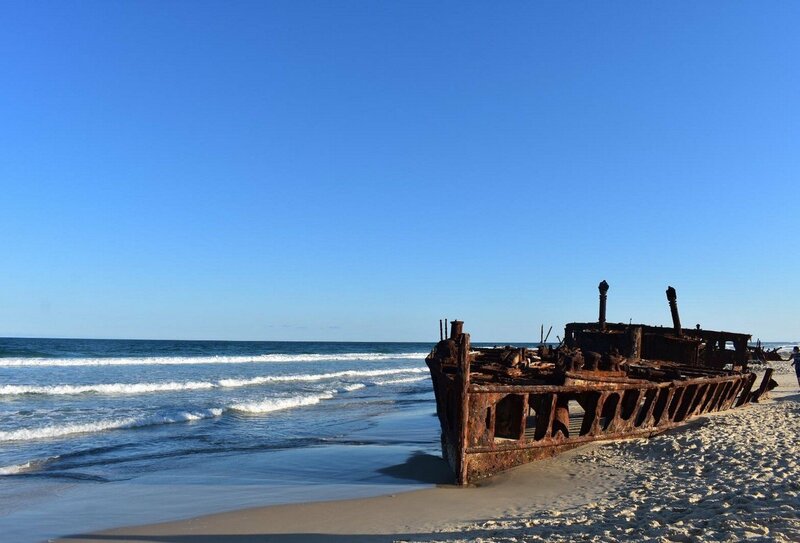 Days 10-12: Fraser Island – Head over the world’s largest sand island- Fraser Island! Hop in a 4x4 with your group to explore the island's unique ecosystem, of crystal clear freshwater lakes, winding beaches and lush rainforest. Trek to viewpoints for amazing views over the island, discover shipwrecks, and keep an eye out for dingos that wander the island! 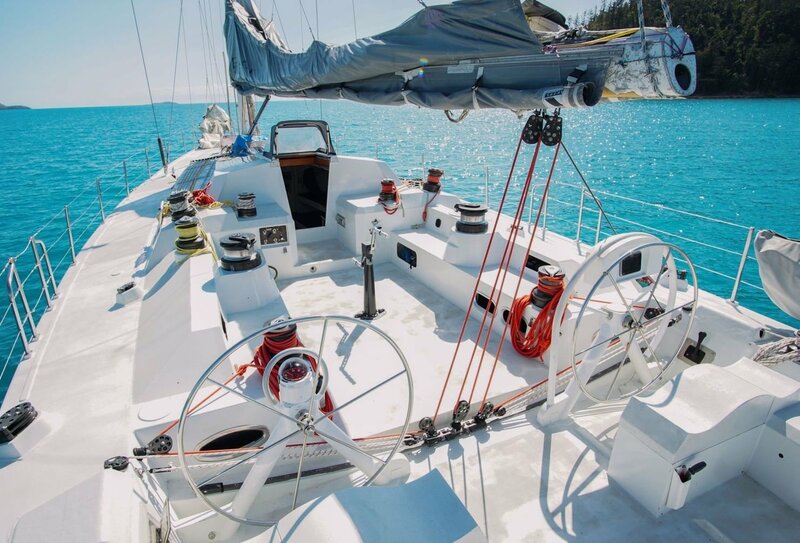 Days 13-15: Whitsunday Islands – Head to Airlie Beach, where you’ll hop on a boat to sail around the idyllic Whitsunday Islands. Have 2 days floating through paradise, including exploring the famous shifting sands of Whitehaven Beach. Sleep under the stars as you stay on the yatch, stopping to snorkel in some of Australia's most diverse marine environments, as you drift by tropical islands. Days 16-17: Airlie Beach – Head back to the mainland as you return to Airlie Beach. Laze on the gorgeous Harbourfront lagoon, soak up the Australian sun and take a blissful stroll around the local shops and restaurants of Airlie Beach dotted with palm trees. Days 18-20: Cairns – Arrive in the adventure capital of Australia, and the tour’s final stop of Cairns. Swim amongst clownfish, stingrays and sea turtles as you experience an incredible snorkelling trip to the Great Barrier Reef. Then have more time in Cairns, where you can try skydiving, bungee jumping, white water rafting and more, before enjoying a final evening meal with your group. Day 21: Goodbye Australia - Your east coast journey ends today as the tour finishes this morning. Depart at any time, or stick around for more adventures in Australia! If you wanted to have longer to explore to epic East Coast of Australia, why not check out the incredible 5 or 6 week Australia East Coast Adventure? See all the best bits of the East Coast, including Fraser Island's amazing lakes, the white beaches of the Whitsunday Islands, and even spot koalas on Magnetic Island! You need to arrive at the starting hostel for the tour by 1pm on Day 1 for the Sydney walking tour and welcome meeting, therefore, we recommend arriving into Sydney the day before the trip begins. Please contact a travel advisor for more information about booking an extra night in the starting accommodation before the trip begins. You can fly back home on day 21 of the trip at any time from Cairns Airport in Australia. 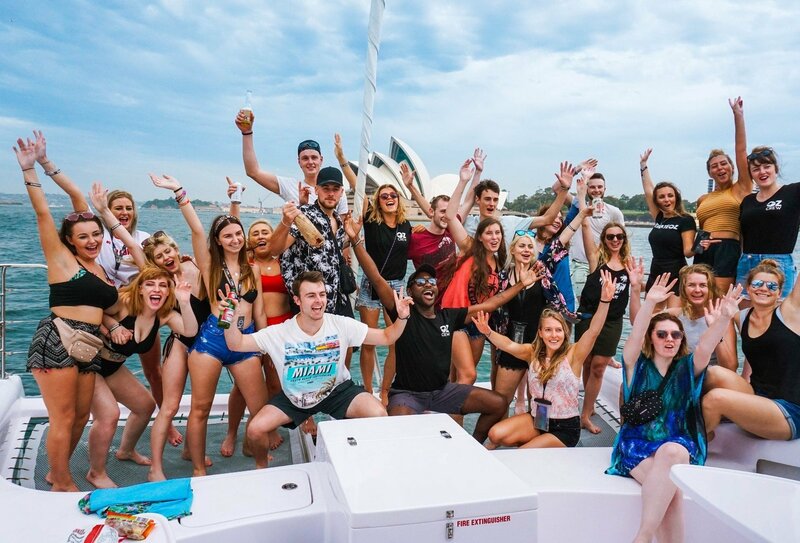 You will be staying 13 nights in shared backpacker hostels all on the East Coast of Australia including a resort, a beachfront hostel and epic flashpacker-style accommodation. 3 nights will be spent on an overnight bus, 2 nights sailing around the Whitsunday Islands and 2 nights camping on Fraser Island. 6 dinners, 4 lunches and 4 breakfasts are included on this trip. All additional meals, snacks and drinks will need to be purchased yourself. This trip is designed to be quite fast-paced and the minimum age to travel is 18 years old. All visitors to Australia (excepting those from New Zealand) will require a visa or e-visa/ETA to enter. These must be applied for before departure, and if you’re planning on working in Australia whilst you’re out there you’ll need a Working Holiday Visa. If you are just heading to Australia for fun however, an ETA will suffice. Both visas can be applied for online.